Congratulations on your career change. The main focus of your WSSAAA organization is to provide support to our member ADs. 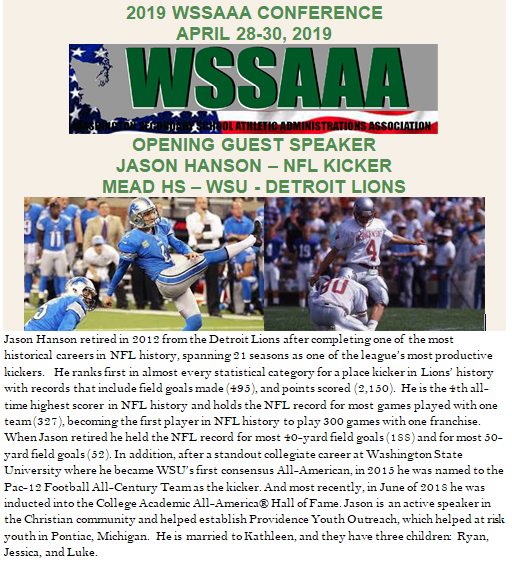 All New AD's or AD's seeking WSSAAA Membership, please fill out a quick contact information request <Click Here> . Within a day or so, you will receive an email with helpful login instructions to our new AMP system, along with WSSAAA membership information. ​AD's from around the state are sharing documents on this new site to assist colleagues within the AD ranks. ​If you have a Quality document(s) that would benefit a colleague, send it here, and we will add it to the website. Thank you! !